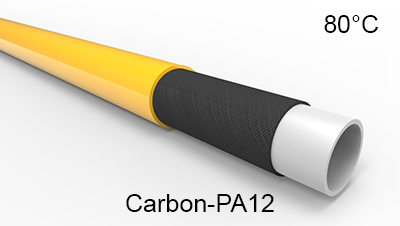 The Thermoplastic Composite Pipe (TCP) concept excels in simplicity. The solid wall consists of an inner liner, thermoplastic composite reinforcement layers and a protective outer coating. Optionally a weight coating can be applied to ensure on-bottom stability. All layers, including the outer coating, are melt-fused together ensuring a bond between the layers that is as strong and durable as the base materials. 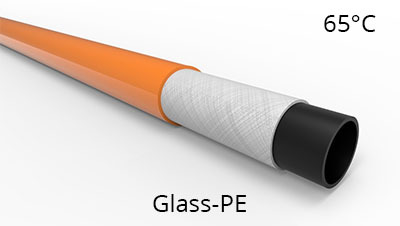 The TCP is terminated by the end-fitting that effectively engages on the outer coating; the pipe can be terminated at any point of the pipe, onshore and offshore, in a matter of hours. We design the TCP, and select the materials based on the specific requirements of each project, ensuring that a fit-for-purpose and cost effective solution is offered – every single time. 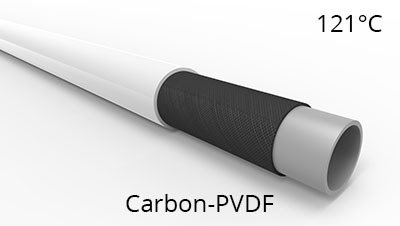 Being material independent, we only use ductile, flexible polymers that do not suffer from micro-cracking, can be bonded onto the pipe as coating as well and that enable a small bending radius of the pipe during installation and operation. An overview of materials used is shown below.